Trinchero Family Estates has quite literally built its business on a fortuitous accident. The St. Helena, California-based company, which got its start with Sutter Home Family Vineyards, unintentionally invented the White Zinfandel varietal in the 1970s and has been enjoying the success of its flagship label ever since. In more recent years, Trinchero has greatly diversified its portfolio—adding high-end wines and imports, finding success with other star wine labels, and creating a spirits division—but Sutter Home and White Zinfandel are still very much prime players among the company’s many brands. As its name implies, family has been at the heart of Trinchero’s business since its founding 70 years ago. The Trinchero brothers bought into the wine business in the 1940s and their descendants have been working for the company ever since. Today, third- and fourth-generation family members are active at Trinchero, though a non-family member currently leads the company: longtime employee Bob Torkelson, who was named president and CEO last year. Trinchero has grown and evolved immensely over the last seven decades, embracing modernization and contemporary wine trends, experimenting with spirits to diversify its portfolio, and branching out beyond California to other wine regions. But at its heart, the company remains true to its roots and core values, even with more growth imminent. 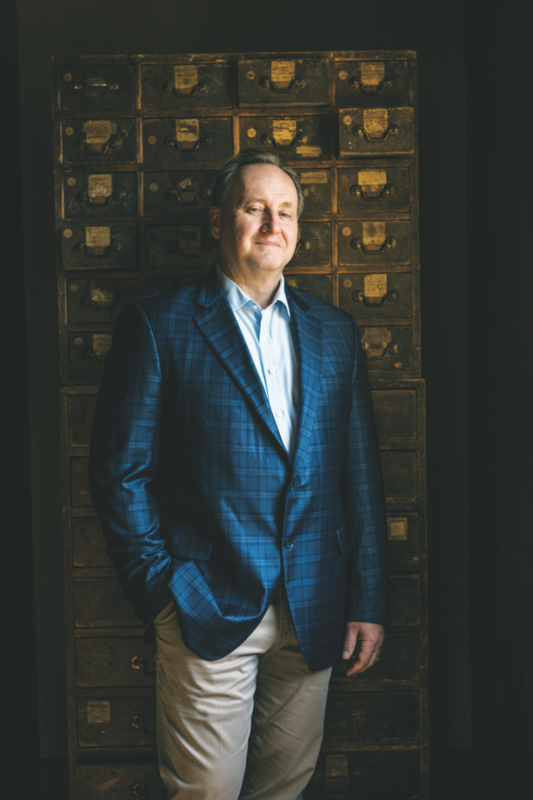 Trinchero now manages more than 50 wine brands and three spirits labels. The company’s volume in 2017 reached 20 million 9-liter cases, while revenues totaled $800 million last year. Along with Sutter Home, which boasts 20 labels, Trinchero owns Ménage à Trois, Seaglass, Napa Cellars, and Terra d’Oro wines. It’s also a managing partner and marketer for Joel Gott, Charles & Charles, Bandit, and Newman’s Own wines, and acts as importer for Bieler Père et Fils from France, Doña Paula from Argentina, and Echo Bay from New Zealand, among others. In spirits, the company’s portfolio includes Amador whiskey, Tres Agaves Tequila, and Sugar Island rum. Trinchero’s brands are available nationwide and in 50 countries around the globe. Trinchero Family Estates purchased California's Bravium Wines (Russian River Valley vineyards pictured) last year. Sutter Home, the brand that built the Trinchero family’s name, has a storied history. 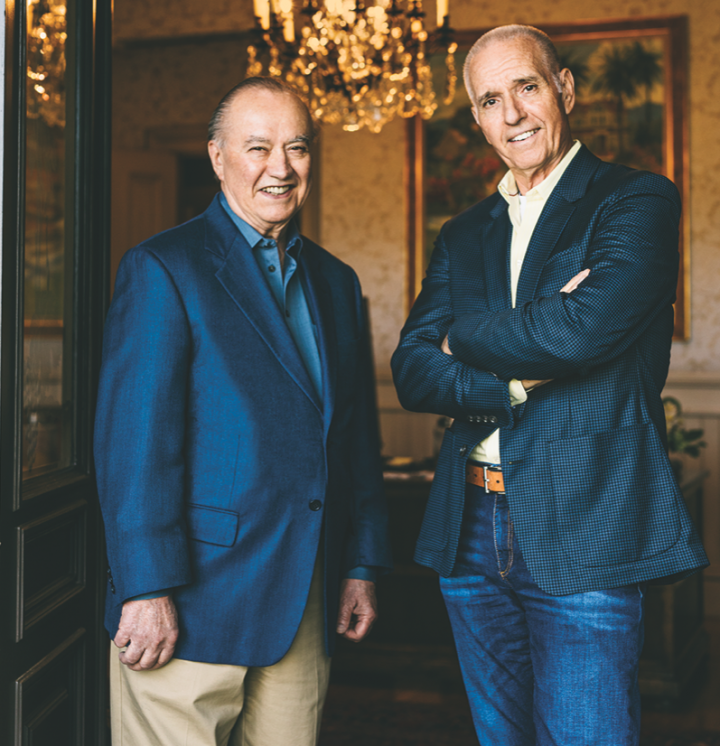 Brothers and Italian immigrants Mario and John Trinchero—whose family had been active in Italian winemaking—bought Sutter Home in 1947. Mario moved his family from New York to California to manage the winery a year later. Sutter Home dates back to the 1890s, but was shuttered by Prohibition until the Trincheros revived it, reopening the winery in 1948 and mostly producing wine for local neighbors. Mario’s son Bob joined his father in the family business in 1958, becoming a winemaker, and roughly a decade later, the winery began bottling Zinfandel. In 1972, Bob Trinchero experimented with the winemaking technique called saignée, draining some of the juice from the Zinfandel skins to create a more concentrated wine. He then fermented the extra runoff, creating Sutter Home’s first White Zinfandel, though it was dry and white in color, not pink. A few years later, Bob’s 1974 vintage of White Zinfandel suffered a stuck fermentation that left the wine with a light pink color and higher residual sugar. The new wine became a fast customer favorite and reshaped the White Zinfandel style. Sutter Home White Zinfandel had a meteoric rise to wine stardom. From 1981 to 1986, Sutter Home White Zinfandel grew from 25,000 9-liter cases to 1.3 million cases, and in 1987 it reached 2 million cases, making it one of the best-selling wines in the country. By 1998, Sutter Home was producing more than 5 million cases of White Zinfandel annually. The label still performs remarkably well and remains the top White Zinfandel in the country, as well as a major player for Trinchero, accounting for nearly a third of the total White Zinfandel market by dollar sales, according to the company. Derby notes that even though the wine hasn’t always received industry acclaim or praise from wine elitists, Sutter Home remains committed to making products for real consumers, with a focus on quality and affordability. In addition, he credits the Sutter Home brand’s continued success and longevity in part to experimentations with different packaging innovations, including 187-ml. bottles and eco-friendly 500-ml. Tetra Paks. The Sutter Home brand continues to sell roughly 2 million cases of White Zinfandel a year and more than 10 million cases of wine overall. “When Sutter Home White Zinfandel first took off, Roger Trinchero, Mario’s other son and former company CEO, described the experience as having the reins of a runaway horse,” Torkelson says. “The company’s biggest challenge in those years was making enough wine to satisfy the market while staying within their financial means.” He adds that White Zinfandel’s popularity has only increased since that time, even as the wine category evolves and wine shelves grow increasingly competitive. Today, the Sutter Home portfolio spans 20 labels, with two new wine entrants launching in 2018. Beyond White Zinfandel, the brand’s existing roster includes varietal wines like Chardonnay, Chenin Blanc, Gewürztraminer, Moscato, Riesling, Sauvignon Blanc, White Merlot, Cabernet Sauvignon, Merlot, Pinot Noir, and Zinfandel, as well as several blends, including Chardonnay-Moscato, Riesling-Moscato, Sweet Red, and Red Blend (the portfolio ranges from $5 to $8 a 750-ml.). This past January, Trinchero added Moscato Sangria to the Sutter Home brand, and in March it debuted Rosé. “Like the rest of the Trinchero Family Estates portfolio, Sutter Home has expanded its offerings to include varietals in which our target markets have expressed interest,” Derby says. The Trinchero family rode the wave of Sutter Home’s success for many years before branching out. 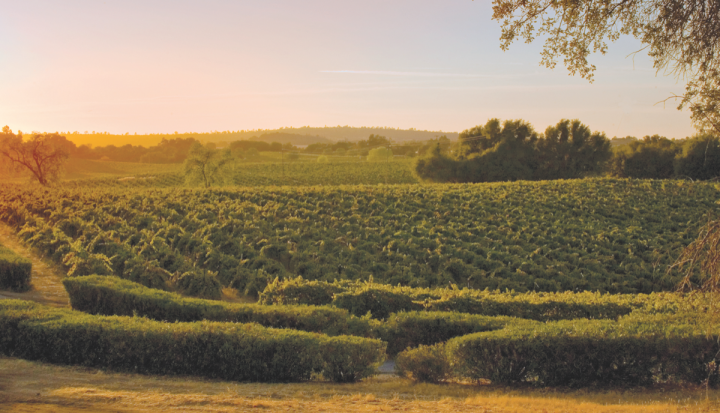 While Sutter Home is its original star, the company has since had many additional hits, including California-sourced Ménage à Trois, which launched in 1996 and joined the Trinchero portfolio in 2004. The brand’s signature blended wines serve as category leaders—Ménage à Trois Red Blend, the No.-2 red blend on the market, boasts $140 million in annual sales alone. “Ménage à Trois is widely credited with defining the premium red blend category and continues to be a rising star for us,” Derby says. “We’re proud of the leadership Ménage à Trois has demonstrated in the blended wine category and we don’t see any signs of red blends slowing down.” Today, the Ménage à Trois umbrella spans 17 wines, including five blends and 17 varietal offerings ($8-$15 a 750-ml.). Torkelson adds that the 2004 purchase of Ménage à Trois, as well as the Sonoma-based Folie à Deux winery where it’s made, was the start of a big shift for Trinchero toward higher-end wines. “Since 2004, we’ve made some significant acquisitions and partnerships that have built our luxury footprint in the marketplace,” Torkelson says, citing the additions of Ziata and Mason Cellars in 2016 and Bravium Wines and Neyers Vineyards in 2017. 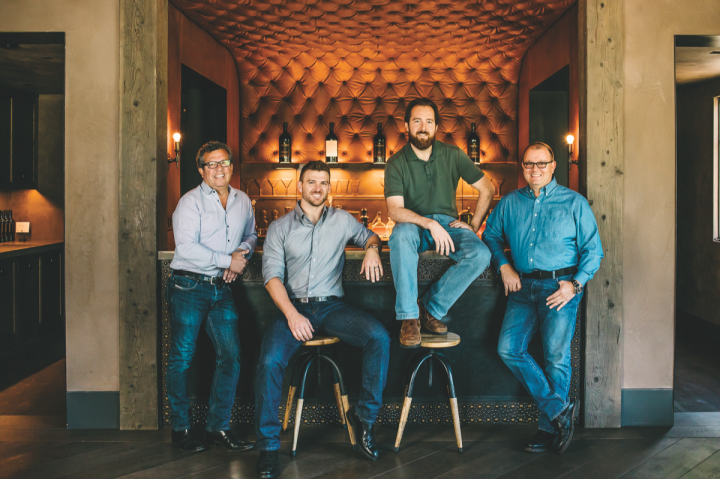 The company has also invested in turning a portion of the original Sutter Home production facility in St. Helena into a luxury winemaking operation and heightened focus on its Trinchero Napa Valley line of estate-grown, small-lot wines. In addition to growing its high-end business in the mid-2000s, Trinchero Family Estates branched out globally. The company started by importing Australia’s Angove Family Winemaking labels in 2005 and added Chile’s Viña Carmen Wines and Argentina’s Doña Paula Wines in 2011. Trinchero’s other imported labels include France’s Bieler Père et Fils and Shatter Wines, Italy’s Avissi Prosecco, and New Zealand’s Echo Bay. Additional domestic wine partnerships and marketing efforts for Trinchero Family Estates include its deals with Joel Gott, Charles & Charles, Bandit, Newman’s Own, Three Thieves, and The Show. Many of these deals pushed the company outside of its traditional, locally focused comfort zone in Central California. Today, Trinchero has vineyards and a production facility in Santa Barbara, California and partners with holdings in Washington and Oregon. Trinchero Family Estates delved into the world of spirits in 2012 and today boasts three brands: Tres Agaves Tequila and its cocktail mixer line, Amador whiskey, and Sugar Island rums. The Tres Agaves lineup includes Blanco ($25 a 750-ml. ), Reposado ($30), and Añejo ($35) expressions and has been performing well under Trinchero’s leadership. The brand has benefited from a 30% annual compound growth rate for the past three years and is on track to reach 35,000 cases in 2018, according to Derby. Meanwhile, Amador whiskey and Sugar Island rums are also posting double-digit gains. Amador whiskey melds the worlds of Bourbon and Napa Valley, and features two Bourbon-based offerings—10 Barrel Limited Release ($125 a 750-ml.) and Double Barrel ($40)—that are finished in wine barrels. The Sugar Island rum lineup is sourced from the Caribbean and includes a Spiced expression and Coconut offshoot (both $18). For Trinchero, the sweet spot in spirits falls between $20 and $40 a bottle. The company aims for brands that can succeed both on- and off-premise, Derby says, targeting accounts that also offer labels from its Trinchero Napa Valley Heritage luxury wine collection. Going forward, he sees opportunity with gin, imported whiskies, amaros, and ready-to-drink offerings. This summer, the company is set to reintroduce Trincheri vermouth in 15 markets. The offering is based on Mario Trinchero’s family recipe from the 1950s and was tweaked by Bob Trinchero, who came out of retirement to work on the project. “The spirits business ensures portfolio diversification, high growth categories, higher product gross margins, incremental accounts, and new consumers,” Derby explains. “We felt it was important to offer a greater portfolio of products to our customers, so the expansion into spirits in recent years was a natural and needed evolution.” Trinchero is currently exploring product line extensions, and has added a dedicated sales team to focus exclusively on its spirits offerings. 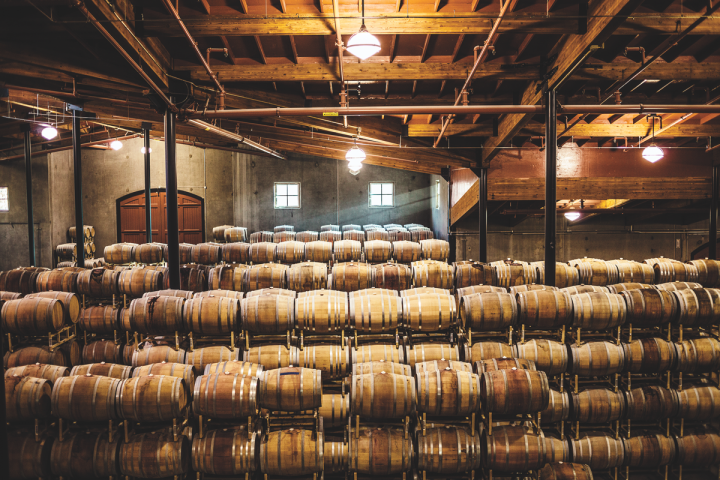 Trinchero's Terra d'Oro Winery (barrel room pictured) is located in Amador County, California. The brand specializes in Italian varietals like Pinot Grigio, Barbera, and Moscato, and produces a handful of single-vineyard Zinfandel expressions as well. The shift from a small family winemaking facility to a large-scale operation has modernized the business in many ways. “Our success and subsequent growth have required us to rethink our production and distribution,” Torkelson says. “What was once done by hand is now an automated, large-scale production at our state-of-the-art facility in Lodi, which is capable of producing 25 million cases of wine a year. 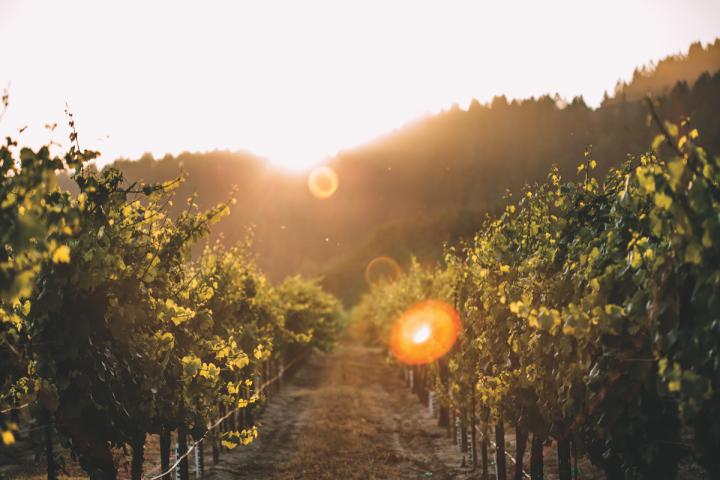 We’ve also invested more in our vineyards.” Trinchero’s first vineyards in Napa Valley were purchased in the early 1980s; today the company owns more than 10,000 acres throughout key appellations in California, including Napa, Sonoma, and Santa Barbara. This year is poised to be significant for Trinchero. Torkelson says he expects tremendous growth for the company, citing another new line extension for Ménage à Trois and potential packaging innovations for Seaglass and Pomelo to further attract millennials. Though he just recently took over as president and CEO, Torkelson has been with Trinchero for more than 20 years and continues to have a relationship with the Trinchero family, which has members active within the company and its board of directors.